THE BRONX (WABC) -- Everyone is familiar with the picture of a then 12-year-old Todd Frazier standing next to Derek Jeter after his Little League World Series team from Toms River, New Jersey, won it all in 1998. Now, the Yankees third baseman will be in the American League Championship Series following a dramatic Game 5 victory Wednesday night in Cleveland. Next up for the Baby Bombers are the Astros, with the best-of-seven series is set to begin Friday night in Houston. It seems as if success follows Frazier everywhere, whether it's that Little League World Series victory, the home run derby in 2015, or being the 34th overall selection in the 2007 Major League Baseball draft. However, what gets lost is the very path to that success. One of the answers is a sign that hangs in left field at Yankee Stadium, simply reading "RUTGERS." During his time on the banks, Frazier was the 2007 Big East Player of the Year and First-Team All-American. That season, he launched 22 home runs, setting a team record and winning the Big East Conference championship along with the award for most outstanding player in the tournament. The Toms River native was not only successful on the field, but more importantly, where it mattered most -- in the classroom. One of Frazier's professors at Rutgers University was director of Undergraduate Studies in Journalism and Media Steve Miller. "He was one of the nicest, most dedicated students I ever had in (public speaking) or any course," he said. "He was inquisitive and a willing contributor to discussions. He set a great example for his peers. He worked as hard in the classroom as he did in the field." That work ethic has reaped great rewards for Frazier. It also demonstrates the teaching tools sports give students, and how to apply them outside the classroom. The old saying that the road to success comes through hard work, determination and sacrifice looms large for Frazier. "The biggest thing is that Todd is a great example of the type of person Rutgers graduates," Miller said. "First class students, first class people." 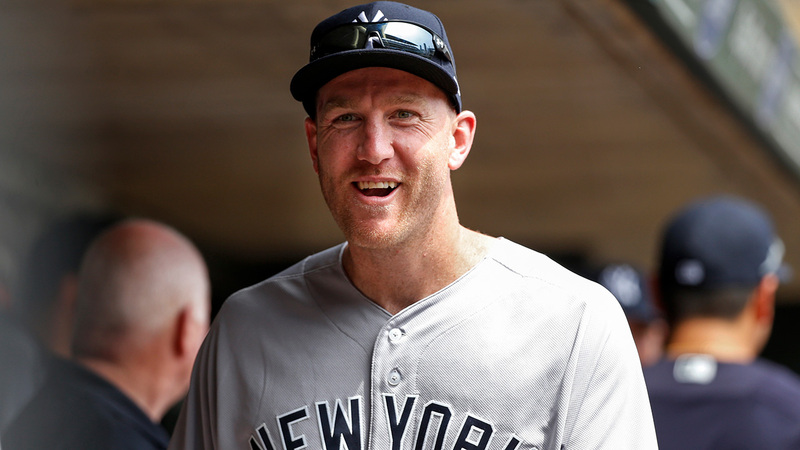 Frazier was traded to the Yankees from the White Sox in mid-July. Since the trade, Frazier has launched 11 home runs and knocked in 32 runs in 66 games. He has been a strong veteran presence down the stretch and into the 2017 postseason.